Not everyone enjoys cleaning their home. After all, this is a time-consuming, boring, and tedious task, especially when items or spaces have not been cleaned for some time. Also, there are areas in your home that need more thorough or careful cleaning than the others. However, with some helpful tips, house cleaning can be made easy and stress-free. 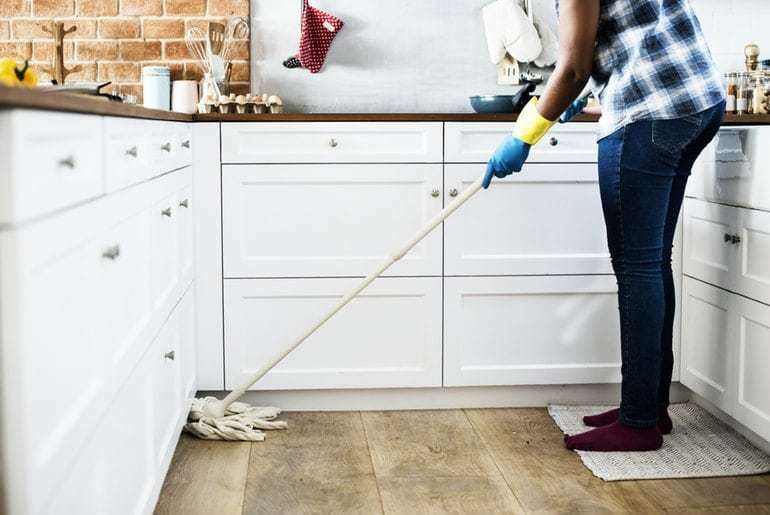 Here the six most dreaded cleaning chores and how to deal with them to make your life easier even in today’s hectic world. Who enjoys scrubbing showers, floors and toilets, right? This is perhaps the dirtiest area of the house that most people are terrified to clean – the showers, bathtubs and sinks can collect debris and hair, the mats and floors can collect dirt from shoes, the mirrors can get cloudy, and of course, there is the dreaded toilet. Plus, if you have more than two bathrooms in your house, cleaning may take a whole day. The best way to keep your bathroom clean is to make sure that everyone always cleans up after they use it. For instance, spilled toothpaste or soap must be cleaned immediately. Also, fallen hair and other debris must be picked up and disposed of properly after taking a bath. This way, the bathroom won’t accumulate too much dirt, grime, and germs which can become more unpleasant to address over time. Moreover, make sure to clean the room thoroughly every week. If you tackle the worst area, the rest of the cleaning task will seem a lot easier. Cleaning the refrigerator entails taking out all the food in it first and then putting everything back once you are done. If you live with your family, there is a huge chance that your refrigerator is always well-stocked. And that means that cleaning the refrigerator is one of the most dreaded cleaning chores because it can take so much time. After taking out all its contents and disposing of waste, you also have to remove all the drawers and shelves. Wipe off the freezer and refrigerator interior to get rid of food spills, grime and odor. Also, wash the drawers and shelves with a safe cleaner or soapy water. Once it is clean, put everything back inside. Blinds can easily collect dust each time you open your windows. Blinds can also become much dirtier if you have some installed in the kitchen – the grease from cooking can build up, which is too difficult to deal with. The best cleaning tip for your blinds is to dust them using a duster or a microfiber cloth at least once a week. A duster is more preferred because this is tall enough to clean both the bottom part of one slat and the top area of the one below it. Furthermore, you have to take the blinds down annually and clean them based on the manufacturer’s recommendation. You won’t notice dust and dirt build up on your ceiling fans until you get up on a ladder and check for it closely. Imagine the dust and germs these fans can spread through the entire home each time you switch it on! So if you are wondering why your family is getting sick, especially those with allergies, this could be the culprit. The best way to clean your ceiling fans is to climb up a ladder until you can conveniently reach one blade. Get a pillowcase and place it around the blade. Wipe off the dust as you pull the pillowcase out from the blade so the dirt and other debris will fall into the pillowcase. Repeat this with all the blades. As much as possible, you must clean your ceiling fan monthly. Damage can happen to your home once the gutters get clogged. The accumulation of debris and leaves will cause standing water, which can then lead to the growth of mold and mildew. Also, this will prevent proper drainage, causing the water to overflow in the wrong place. And this can result in roof damage, interior water damage, and even landscape erosion. So make sure that your gutters are free of any debris, especially during the rainy season. Climb up using a ladder, go to your roof, and do some proper cleaning. Cooking and baking can be fun and exciting, but cleaning a dirty oven isn’t. You’re lucky if you have an oven with self-cleaning features; otherwise, you must clean it thoroughly with the right cleaning supplies, especially the oven racks, after every use. This will prevent the buildup of food spills and grease splatters on the oven’s burners, racks, and walls. Cleaning chores are a normal part of life, regardless of how much you dislike doing them. This is essential in keeping your property clean as well as keeping the household healthy. Setting up a cleaning schedule and sticking to it is probably one of the best ways to prevent the buildup of dirt, grime, and germs. Also, consider hiring professional house cleaners to deep clean your house regularly. This will be make everyday tidying up much simpler for you.